With the 90th Academy Awards airing this Sunday, March 4th, your trio of Upcoming Pixar writers are here with some musings on the awards show. Animated movies have been cemented in our culture for the best part of a century now, so it’s hard to believe that the Academy Awards, founded in 1929, only introduced the Best Animated Feature award in 2002. In the years since, so many beautiful animated features have become nominees in this category, and while it’s great that these movies are gaining recognition, it seems strange that this recognition doesn’t stretch over into other categories as often as it should. So right off the bat, it’s like movies that happen to use animation as their art form are already unfairly regarded as ‘beneath’ live-action movies. And then there’s the issue that many animated movies seem to be completely overlooked. 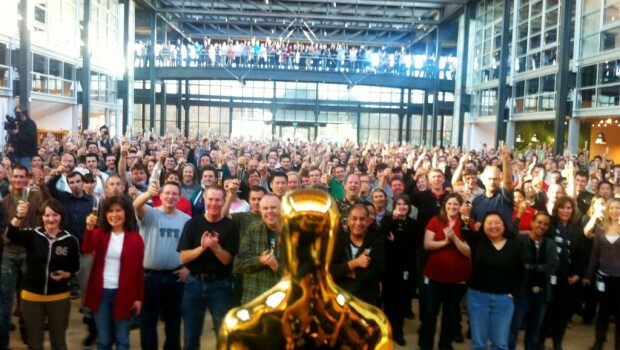 Pixar have won 50% of all the Oscars ever awarded for Best Animated Feature. Disney and Pixar combined have won ~70%. This is where I begin to feel conflicted – I love Pixar. I like to see them succeed. I am always happy and proud when a Pixar movie is awarded with an Academy Award. But, especially in more recent years, when a Disney or Pixar movie is nominated for Best Animated Feature, it almost feels like a guaranteed win. And it shouldn’t be! There are so many inspirational animation studios doing amazing work at the moment. Pixar is in good company. The Academy Award members do a good job at nominating a diverse set of movies for Best Animated Feature (even after the rule change this year where all members, not just a specialist branch, were able to nominate contenders in this category). This year’s nominees include the Mexican-culture-celebrating Coco, the first fully painted animated film Loving Vincent, and the stunningly animated The Breadwinner by the very unique and distinctive studio Cartoon Saloon. It’s when it gets to the voting for which nominee should win where things seem to get a bit problematic. It’s been reported in the past that some members don’t take this category seriously, choosing to not even bother watching all the nominated animated movies. The fact that only Disney and Pixar – huge and very well-known studios – have won Best Animated Feature for the past five years seems like a pretty good indicator that members are just voting for whatever movie they vaguely recognize. Don’t get me wrong, Zootopia, Inside Out, and Big Hero 6 are all brilliant movies that are completely deserving of their awards, but the way the winners are chosen in this category is unfair to all the animation studios involved. As we’ve seen on every Oscar night, Pixar does always win. (With a few exceptions where they either lost or didn’t even receive a nomination). Coco will most likely take home the grand prize. However! While Pixar movies are overwhelmingly the favorites, it’s unfair to the studio’s first film with an all Latino cast, one that celebrates a culture and country far too demonized by Hollywood and politicians, to be labeled as undeserving just because of the Pixar name. And if Pixar doesn’t win? The films are stellar whether or not “Academy Award winning” precedes the title. Oscar voters are a disappointing bunch. Like the general population, they don’t consider animation a serious art form and usually choose Pixar because they don’t bother to watch the other worthy contenders. Whatever reasons they have for dismissing animation is their own business, but it is frustrating to think that Pixar’s wins weren’t always the results of a fair competition. Coco deserves every honor it receives. I hope that if it’s the winner Sunday night, it was because voters honestly thought it stood up better against the other nominees. If the Academy and Hollywood at large are committed to inclusivity, then the film’s win for Best Animated Feature will not only be a win for positive Mexican representation, but a win for the entire industry. I used to be a massive Oscar fan when I was younger. Between the star-studded ceremonies, the tear-jerking Oscar acceptance speeches, to the inspiring films that took home the gold, I was in awe and obsessed. I would beg my parents to let me stay up late on Oscar Holy Sunday so I could find out who would win Best Actress or what film would win Best Picture. Later I’d hold Oscar parties and watch everything that was nominated so I could make accurate predictions as to what would win and why. It wasn’t until I got older and discovered the vast number of films that are released each year and how the Academy doesn’t even recognize most of them that I realized the Oscars themselves are not only a huge popularity contest, but also a con. Behind all the glitz and the glamour, what do the Oscars actually represent within our culture? When one of the nine films nominated for Best Picture wins the prestigious award, does it make that film any better or any more worthy than the other ones that were nominated? Do you even remember what won Best Picture last year? Or five years ago? What about the other films that were released during the year and were snubbed when the nominations came out? Are those considered bad films because they weren’t nominated? I’d like to think of the Oscars as a celebration of all the hard work that thousands of talented individuals poured into each film released, whether or not they made the Academy’s cut. One of my favorite categories at the Oscars is Best Animated Feature and each year I constantly find myself disappointed at the Academy’s lack of knowledge of the animation industry. I’ve been a massive Pixar fan since I first remember going to the cinemas when I was a wee lass, but the animation world goes far beyond Pixar’s pearly gates in Emeryville. Pixar definitely raises the bar when it comes to animation and sets a high standard for storytelling, but that doesn’t mean they’re the only studio making good films, or Oscar worthy films. There are so many other studios around the world making equally compelling and engaging content that often go unnoticed. Whereas the Best Picture category is often compelling as the winner can sometimes be a film completely unexpected, there is really no suspense in the Best Animated Feature category because if a Pixar film is nominated then 9 times out of 10 they’re going to win the Oscar; unless a Disney film is nominated, like Zootopia or Big Hero 6. I’m not saying those films didn’t deserve to win but it would have been more entertaining had there been a little more competition among the other animated films nominated. It’s nice that the Academy honors animated films that were made outside of Pixar or Disney or even DreamWorks, such as The Breadwinner or Loving Vincent, but that still doesn’t make up for the other films they left out this year and in the past. If the Best Picture category can have up to 10 films nominated, then the Best Animated Feature could have the same, of course depending on what animated films are released throughout the year. The Academy does have a high regard for Animation – they added the category to the program in 2002 and even nominated Up, Beauty and the Best, and Toy Story 3 for Best Picture, so they obviously take animation seriously and know that it’s worthy of everyone’s praise and attention… but there’s still a long way to go before animation is anywhere equal to live action.